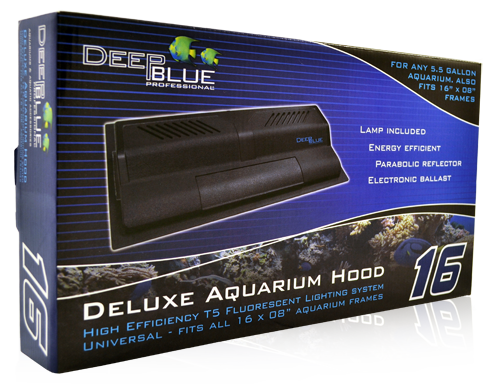 Deep Blue Professional Deluxe Aquarium Hood 24" T5 Fluorescent + LED Hood Features: Front access lid allows quick & easy access during feeding & maintenance. Recessed lip prevents moisture & water escape. 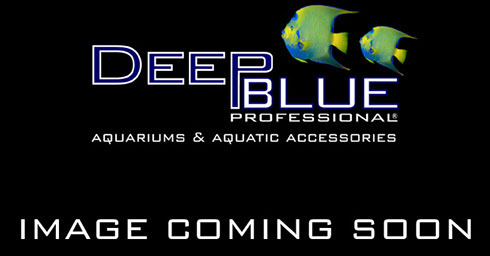 Equipped with a light amplifying parabolic reflector that directs & magnifies output down into aquarium. A safe glass lens protects electrical components from moisture & corrosion. T5 fluorescent technology for high energy efficiency & output. Electronic ballast technology offers instant-on activation, runs cooler & lasts longer. Daylight T5 lamp included to enhance natural fish color. Includes a strategically positioned moonlight led specially tuned &integrated directly into reflectorsimulating night illumination forfull day/night cycle. 14W T5HE Lamp Included For 24x12" Framed Aquariums. Two units fit 40E & 55 Show Models.  Deep Blue Professional SolarFlare 9.5w LED Aquarium Full Hood 20 SolarFlare Advanced 20 LED Full Hood includes 3ea 3watt 6700K LEDs plus 2ea .25w 460nm Lunar Blue LEDs with custom-tuned optics to spread light throughout the tank. Powered by a UL-listed DC transformer, this light is safe and effective. Hood includes a protective glass lens and a clear profile backstrip that can be easily modified for use with BioMaxx power filters and other accessories (not included.) Fits most 10 and 20XH-gallon tanks. 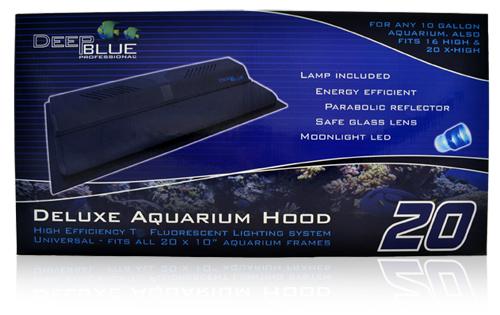 Deep Blue Professional SolarFlare 12.5w LED Aquarium Full Hood 24 SolarFlare Advanced 24 LED Full Hood includes 4ea 3watt 6700K LEDs plus 2ea .25w 460nm Lunar Blue LEDs with custom-tuned optics to spread light throughout the tank. Powered by a UL-listed DC transformer, this light is safe and effective. Hood includes a protective glass lens and a clear profile backstrip that can be easily modified for use with BioMaxx power filters and other accessories (not included.) Fits most 15, 20H and 30XH-gallon tanks.